Antimicrobial resistance is a growing public health problem in European hospitals and communities. Because resistance is increasing and few new antibiotics have been discovered and marketed in recent years, the problem of antibiotic resistance is now a major public health threat. Escherichia coli resistance to major antibiotics is increasing in almost all countries in Europe. E. coli causes urinary tract and more serious infections and is one of the most common bacteria causing infections. The major cause of antibiotic resistance in humans remains the use of antibiotics in human medicine. Excessive and inappropriate use of antibiotics accelerates the emergence and spread of antibiotic-resistant bacteria. In addition, food producing animals treated with antibiotics may acquire bacteria that are resistant to antibiotics also used against human infections. Certain resistant bacteria that are associated with food consumption, such as Campylobacter or Salmonella, may be transferred from animals to humans through food. To address this public health concern, the Council of the European Union issued a recommendation in 2001 asking countries to put in place actions to ensure prudent use of antibiotics (Council recommendation of 15 November 2001 on the prudent use of antimicrobial agents in human medicine (2002/77/EC). 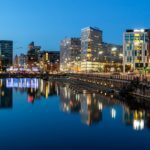 This Council recommendation emphasises the development of alternatives to antimicrobial agents and of new modalities for prevention and treatment of infections. Research shows that homeopathy can help fight antimicrobial resistance. Trichard et al. compared “homeopathic strategy” against “antibiotic strategy” in routine medical practice in the management of recurrent acute rhino-pharyngitis in 499 children aged between 18 months and 4 years. Family physicians using homeopathy had significantly better results in terms of clinical effectiveness, complications, parents’ quality of life and time lost from work, for lower health care costs. The EPI3 study, which included 6,379 patients from 804 medical practices in France, yielded an analogous result, showing that patients who consult family physicians certified in homeopathy used significantly less antibiotics and antipyretic/anti-inflammatory drugs for upper respiratory tract infections than those who attended family physicians who prescribe only conventional medications, with similar outcomes. The same EPI3 study concluded that overall health expenditure was 20% less for patients consulting homeopathic physicians. These finding has been confirmed by other studies that showed reduced cost for homeopathy or no additional cost. 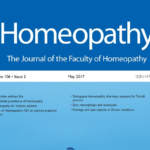 A multinational comparative effectiveness study with 30 doctors, at six clinical sites in four countries, treating patients with acute respiratory problems, produced better results for homeopathy. Response at 14 days was 82.6% for homeopathy compared to 68% for conventional treatment. The rate of adverse events for conventional treatment was 22.3%, versus 7.8% for homeopathy. A replication of this study included 1,577 patients, of whom 857 received homeopathic and 720 conventional treatment: improvement was significantly faster with homeopathy. 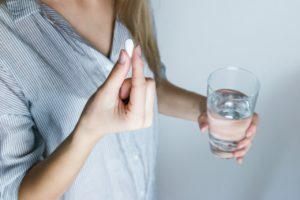 A recent review of clinical studies featuring homeopathic treatment of acute upper respiratory tract infections concluded that results for homeopathy were positive overall, with faster resolution, reduced use of antibiotics, fewer adverse events and broader therapeutic opportunities than conventional medicine. The reviewed studies included upper respiratory tract infections and their associated symptoms such as cough, pharyngitis, tonsillitis, otitis media, acute sinusitis and others. Homeopathy has also been used to treat epidemic diseases. A review of published research identified positive results for homeopathy in the treatment of influenza, acute diarrhoea in children, pulmonary tuberculosis, malaria, Chikunga fever and dengue. In some diseases such as in multi-drug resistant pulmonary tuberculosis homeopathy was combined with standard care. Homeopathy has also been successful in preventing epidemic diseases such as leptospirosis in Cuba. Homeopathy has also been used in combination with antibiotics to increase their efficacy. In Brasil a multi-drug resistant bacterial species, Staphylococcus aureus, which became a serious health problem, became more vulnerable to an antibiotic after having been treated with homeopathic medicines. Last but not least, homeopathy has been successful in treating infectious diseases in farm animals. This is the case of mastitis in dairy cows and diarrhoea in piglets. Homeopathy is effective in treating infectious diseases either as a standalone therapy or combined with antibiotics. Homeopathy is safe. The number of adverse effects reported are minimal. Homeopathy is cost-effective. Less antibiotic and other pharmaceutical drugs are prescribed, and homeopathic medicines usually have an affordable price. Homeopathy has proved effective in drug-resistant bacteria. Homeopathy can treat infectious diseases in humans and animals. Train doctors and veterinarians in homeopathy, so they can prescribe homeopathy for infections. Involve doctors and veterinarians with additional training in homeopathy in the treatment of infections with drug-resistant bacteria. Assist doctors and veterinarians in combining homeopathy with a delayed prescription of antibiotics by computer algorithms to make a personalised homeopathic prescription. Apply homeopathy in farming training farmers in using homeopathy. Train pharmacists, nurses and midwives in homeopathy to facilitate advise and information on homeopathy in infections. Integrate homeopathy in the national health care systems. Promote and fund research on homeopathy and infections.